He specialises in media policy, regulation, the theory and practice of journalism, political communication, and press ethics, and has directed over thirty research projects on the structure, funding, regulation and business of communications in the UK and around the world. His work is frequently quoted in parliamentary debates and government reports, and he is a regular commentator and writer on media issues. He was a columnist on the Observer newspaper from 2000-2004, writes freqently for the national, online and specialist press and has been quoted by newspapers or interviewed for TV in Australia, the US, Japan, China, France, Finland, Sweden, Germany, Poland, Denmark and Ireland. 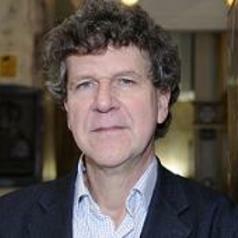 Most recently, he has acted as specialist adviser to the House of Lords Select Committee on Communications for its enquiries into News and Media Ownership (published June 2008), the UK Film and Televison Industries (published January 2010), and the Regulation of TV Advertising (published February 2011). In March 2011, he was invited to address an international conference in Cairo on democratising Egyptian media. His current research interests and active projects include studies on media ownership, television journalism, and the future of the BBC and public service broadcasting. He was awarded an AHRC grant in 2009-10 for a study on media ownership, journalism and diversity, resulting in a number of publications (see below). His paper for Ofcom, Journalism, Democracy and the Public Interest: rethinking media pluralism for the Digital Age was published as a Reuters Institute Working Paper, and informed Ofcom’s review of local and regional media in the UK. He co-organised a highly successful European conference (with colleague Dr Maria Michalis) on the theme of “Is the public interest under threat?”, resulting in their co-authored edition of the journal Interactions (Vol 1 No.2, Autumn 2010). In 2010, he was awarded a Leverhulme grant for a longitudinal study of television news content, updating his previous study published in 2000 (From Callaghan to Kosovo: Changing Trends in British Television News 1975-1999). This will be completed by the end of 2011. Other recent research projects include a study of public attitudes to privacy and self-regulation in the press for the Media Standards Trust and another on declining trust in journalism. He has also directed studies on changing attitudes to newspaper readership, and two studies on on television coverage of international issues for the Third World and Environment Broadcasting Project (3WE): Bringing the World to the UK: Factual international programming on UK public service TV (2005) and The World on the Box: International Issues in News and Factual Programmes on UK Television 1975-2003 (2004). His latest book, The Rise and Fall of Television Journalism: Just Wires and Lights in a Box? is being published by Bloomsbury Academic in Autumn 2011. Other published books include: Westminster Tales: The 21st Century Crisis in British Political Journalism. Continuum, 2001 (with Ivor Gaber). The Battle for the BBC. Aurum Press, 1994 (with Andrew Curry). Funding the BBC's Future (editor). British Film Institute, 1993. Games and Sets: the changing face of sport on television. British Film Institute, 1990. A selection of recent book chapters and articles is given below. He is an editorial board member of the British Journalism Review and in 2009 initiated the BJR’s annual Charles Wheeler Award for Outstanding Contribution to Broadcast Journalism. The inaugural Charles Wheeler lecture was given by BBC Director General Mark Thompson, and is now part of a major annual Journalism Conference jointly sponsored by the BJR and University of Westminster. Before joining the University in 1994, he was founder and director of the Henley Centre's Media Futures research programme (1990-94), Research Fellow and then Assistant Director at the Broadcasting Research Unit (1985-90) and a senior researcher at Consumers Association (1980-85). He graduated from Pembroke College, Cambridge in Social and Political Science followed by an MSc at the London School of Economics. He has successfully supervised several doctoral students to completion, and is interested in supervising PhDs on issues around national and international media policy, media ownership, regulation, public service broadcasting, the BBC, journalism practice and theory, and the relationship between media and sport.